Journey to There with Traci DeForge : Empower Radio : Empowering You for a Better Life! Welcome to Journey to There, where we explore the intersection between personal and business growth. Have you ever asked yourself the question, "How did I get here...again?" The answer is hidden in the decisions you've made at the most significant moments in your life. We're going to look at some of those moments and explore how identifying these repetitive patterns keep us returning to the same stuck place emotionally, physically, and professionally. The Journey to There radio show will introduce you to the story behind Journey to There. Traci DeForge, founder, along with co-host Russ Riba will discuss details of their own personal journeys and talk about how their lives intersected over the last 20 years and brought them to this place of launching the show. 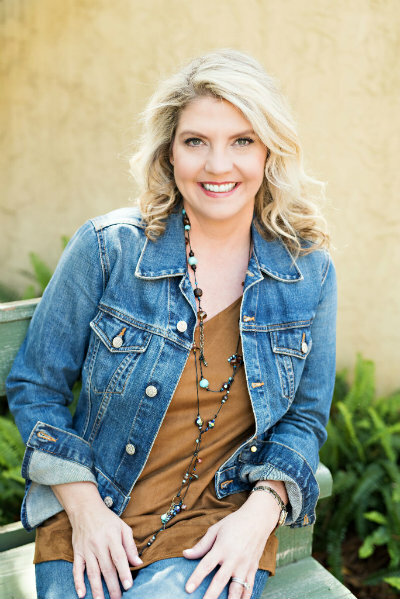 Over the past 12 years of researching and working with women entrepreneurs, Traci discovered although we all have our own set of challenges to solve. They are not always as clear-cut as we'd like to think The awareness of the personal and professional intersection is only one step toward resolving the patterns that bring you back to the same places again and again. Journey to There provides you with motivational inspiration to try things a different way. It offers tactical exercises which reveal how to become the person you were always meant to be before you were introduced to fear. The barriers will begin to come down and you will catapult to new levels of growth in your business and in your life. It is your journey. Start here. Listen Fridays at 11am Eastern/8am Pacific on Empower Radio. My name is Traci DeForge. Most people call me Traci. My closest friends call me "T". My favorite two little humans call me "Aunt T". It is great to meet you. I have a wonderful husband, two dogs and live on a barrier island off the Southeast coast in the United States. It is an amazing life for which I am incredibly grateful. It hasn't always been this way and it was a long road to get here. Over the past 22 years, I've led a prominent career, first as a high-powered radio executive who took the broadcast company for whom I worked from $1.2M in revenues to over $10M, eventually positioning it for a $60M exit. From there, I took over as CEO of Ladies Who Launch, at which time I innovated the Franchise Media Model. I founded my consulting business, ThreeDM Communications, where being an integral part of the launch of hundreds of small businesses has been my passion. I've also had the pleasure of working on branding and business development strategy for companies like British Airways, Microsoft and Weight Watchers International. Successful, right? Yes. I'm proud of what I've accomplished, and I've loved (almost) every minute of it. All along the way, during professional crossroads and times of triumph over personal obstacles, I began to realize that even with all of this, I still felt a yearning. I intuitively knew I had more I needed to do. I had something to say. After digging into some serious self-inquiry and talking about it with friends and colleagues, I realized I wasn't using my voice to its full potential. I had a pattern of working behind-the-scenes to fuel massive growth in the organizations in which I was a part, while never fully owning and telling my own story. I was using my success and my busyness to keep from developing a voice and body of work that was uniquely mine. This was the very moment my personal life consciously merged into my business life. Of course, it had been that way throughout my whole journey. I had just not connected them. I was the one who kept dividing the two entities. Today, I honor these two important aspects of my life as a strong supportive system that harmoniously coexist. I embrace their pairing as an asset. This pivotal realization made me even more committed to using my voice to put my experience and perspective into the hands of individuals who can use it to move forward in their lives. Journey to There is a culmination of the past 25 years of my work in the business and entrepreneurial world while navigating my crazy and wonderfully messy life; and yet, it is really much, much more. It is my way of connecting to you and with you on a new path where the possibilities are unquestionably endless.